Does someone have more photos of the later Empress Friederick of German still as Princess of Great Britain? Very beautiful portrait indeed! Do you think the artist enhanced her features or do you think that this is what she really looked like? I love her dress! I know I saw a blurry photo from her wedding, I think it was in Victoria Longford's biography of Queen Victoria. 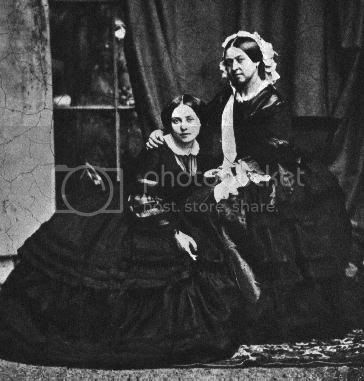 If you are referring to the one of Vicky with her parents, yes it is blurred because Queen Victoria moved. The daguerrotype, as it was called then, had just been invented, and I believe this is one of the first Royal Photographs ever taken. That's it, the blurry photograph! Pretty obvious that photography had not been mastered yet. She really was very good looking. She looks the same in all the photographs and paintings I have seen of her. I think she took after her father as Victoria wasn't very attractive. 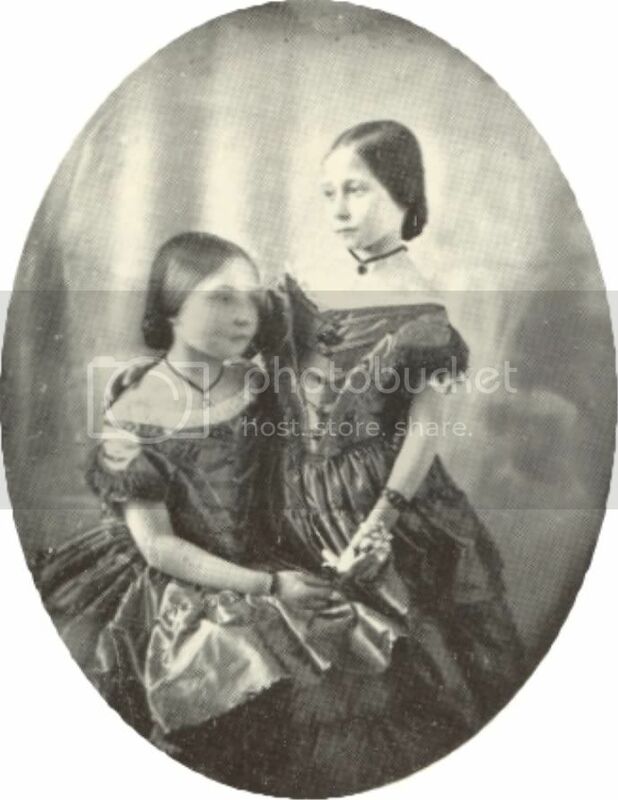 I think all of Queen Victoria's offspring were very attractive as children. I think Pss Victoria looked alot like her mother, who wasn't that unattractive. Esp. when she was younger. The pictures here are not of the same princess. 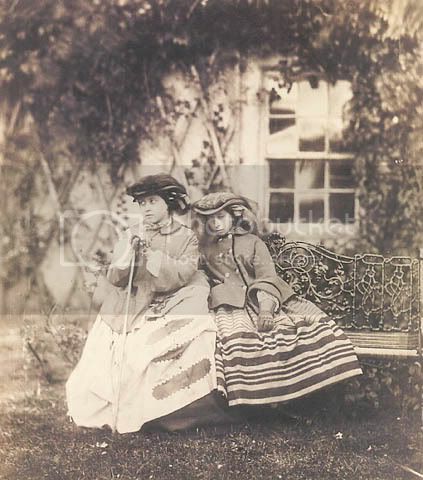 These are the daughter of Princess Alexandra and Edward VII. I think Pss Victoria looked alot like her mother, who wasn't that unattractive. Esp. when she was younger. Winterhalter portrayed all his women equally beautiful and in the same style. 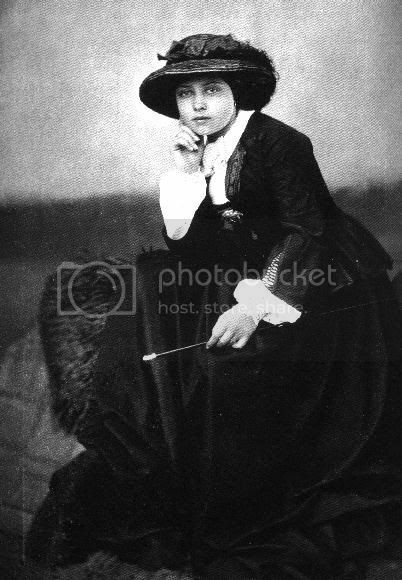 The early photographs are difficult to look at, since the black and white gives lots of shadows, the faces are hard to see (most photos show the complete person standing or sitting quite removed from the camera, no close ups) and their expression, typically for that era is very serene, almost unfriendly stiff. 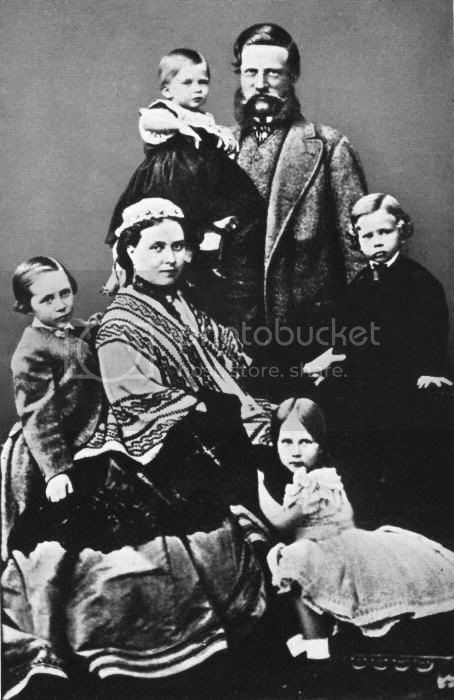 I think all of Queen Victoria's offspring were very attractive as children. Well Mother Victoria certainly was of a different opinion . In a letter to the empress Frederic she once wrote about her son Leopold: "...but he holds himself still as badly than ever and is very ugly, I think uglier than he ever was" and later when the crownprincess had her first baby herself, Queen Victoria wrote: " If you remember what Leoplod was! I hope he won't be the ugliest and least pleasing of the whole family. L was not an ugly baby, only as he grew older, he grew plainer....that is so vexatious"
From reading Kaiser Wilhelm II biography, Empress Frederick was definitely one to speak her mind, regardless of her children's feelings. 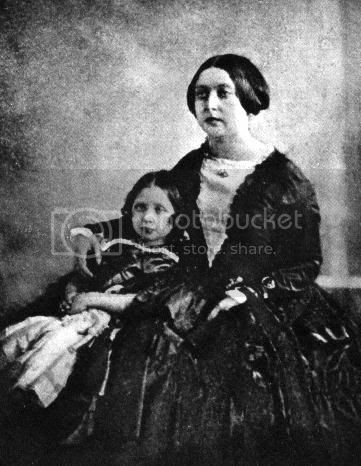 I want to know about the life of Vicky, daughter of Queen Victoria. I want to Know if she was happy with her husband, if he didnt unfaithful to her. I know that she was a inteligent woman, and that she had bad relation with her older son, the kaiser. I want to know about her because I belive that she was a great woman, and, I am sorry that she died at 60's, in 1901, the same year that her mother and her brother, Alfred, dead. in Germany the widowed Viktoria was known as "Kaiserin Friedrich" - on google you might find lots of references to her under this name. Vicky and Fritz were said to have had a blissfully happy marriage and both remained faithful to the other. She died of cancer - said to be cancer of the spine because of the severe pain she suffered - but it is thought now that it was more likely due to breast cancer which had spread to other areas of the body, including the spine. She and her husband had a genuine love match. She had a very bad relationship with her son, partly due to her in-laws, partly due to Otto Von Bismarck. I can't help but think what would have happened in Europe if her husband Kaiser Frederick had ruled for longer than 88 days. He was shaped by Vicky politically, who was shaped by her father, Prince Albert. Grand Ladies pictures from fashion photos on webshots .